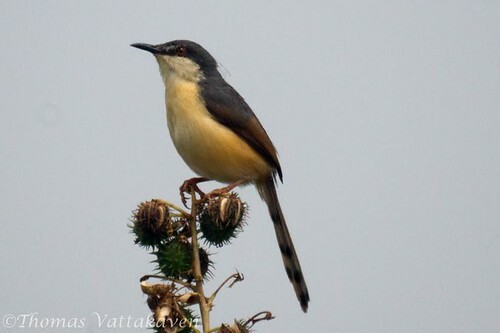 Ashy Prinia or Ashy Wren-Warbler (Prinia socialis) is a small bird belonging to the warbler family. 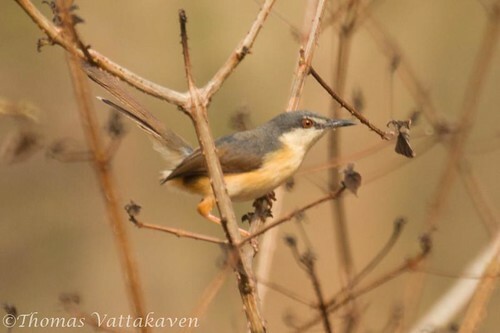 It is commonly seen bird in gardens and farmlands and has distinctive colours which make it easy to identify. Its most distinguishing character is its longish graduated tail which is usually held upright. They have strong legs which are used for clambering about and hopping on the ground. 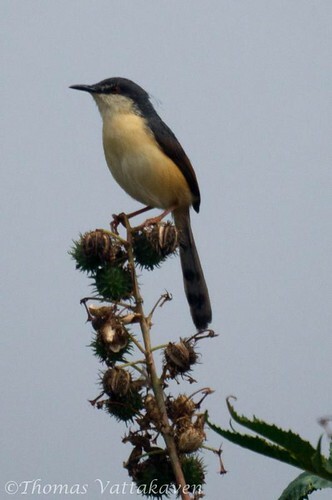 The above including the crown is grey and the bill is black, while the under parts are rufous. 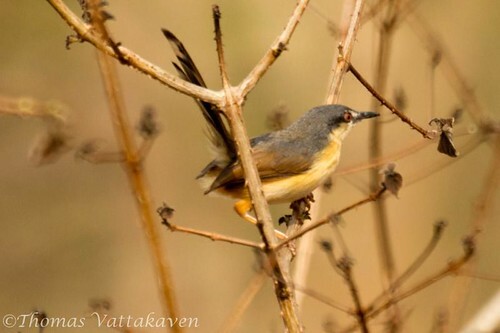 They are insectivorous birds and is often heard before it is seen. The song is a repetitive tchup, tchup, tchup or zeet-zeet-zeet. Another call is a nasal tee-tee-tee. However its most distinctive sound is the snapping sound that it makes in flight. It is not clear if this sound is made with its wings or beak. 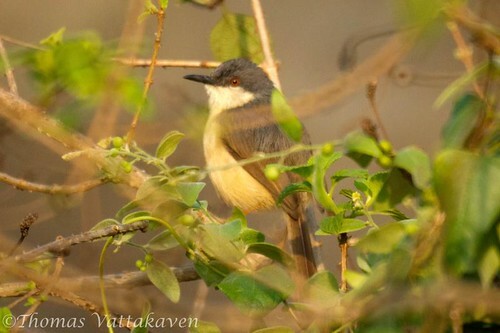 The breeding season varies locally but is usually after the monsoons. They are believed to be monogamous. 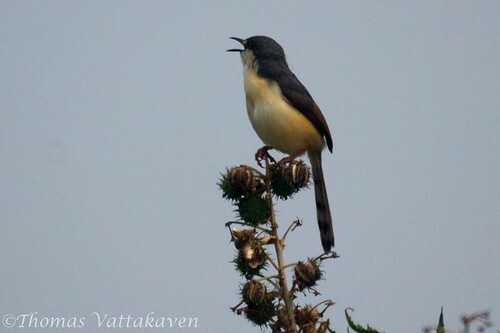 Some Cuckoos are known to be brood parasites of this bird. When the nest is threatened by predators, this bird has been known to feign injury to draw them away from the nests.